We have just left our lovely stay in Berri. 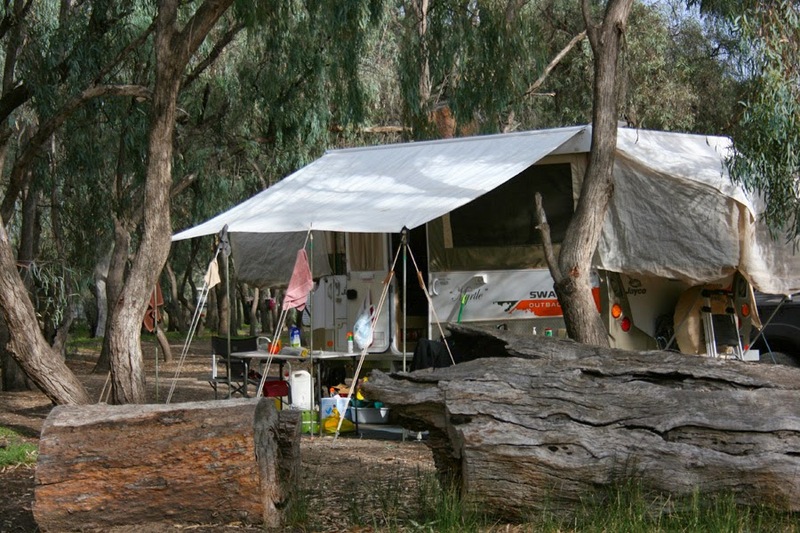 We stayed at a free camp called "Martins Bend" right on the River Murray. Seeing we didn't have electricity it wasn't possible to update my blog so now I will do a bit of a catch up. The area is known as "The Riverland" probably because it's where the cool waters of the Murray feed the wetlands and floodplain forest. The result being some very productive land that consists of vineyards and citrus and almond groves. The town of "Berri" was a really nice little river township. 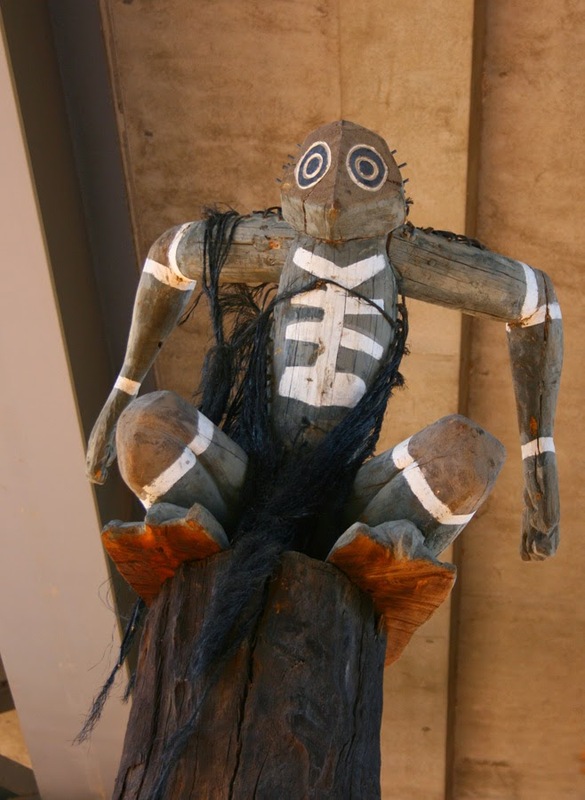 The name Berri is taken from the Aboriginal word "Beri Beri", meaning "bend in the river". 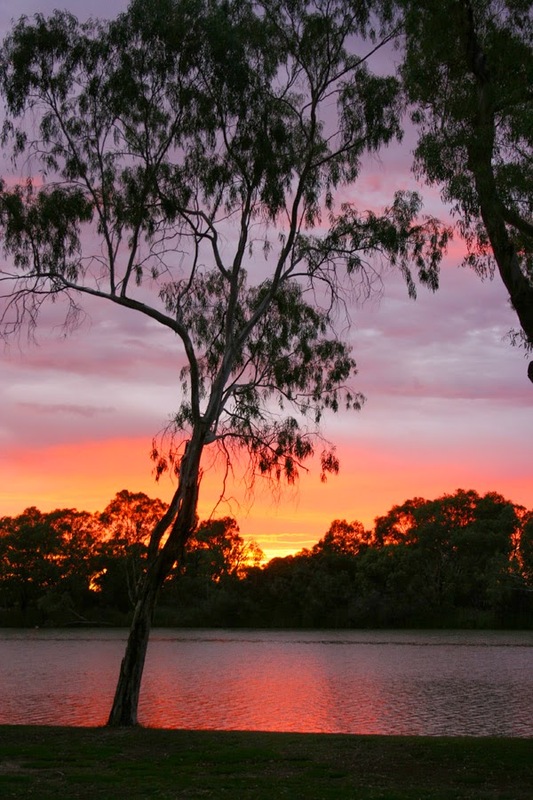 It is the commercial hub of the Riverland, with lots of fresh produce stalls on the outskirts of town. Our first visit was out to Loxton to have a look at the "Tree of Knowledge". The Tree of Knowledge is a weather chart with a difference. This magnificent old river red gum provides historical dates of the high river levels over the years. 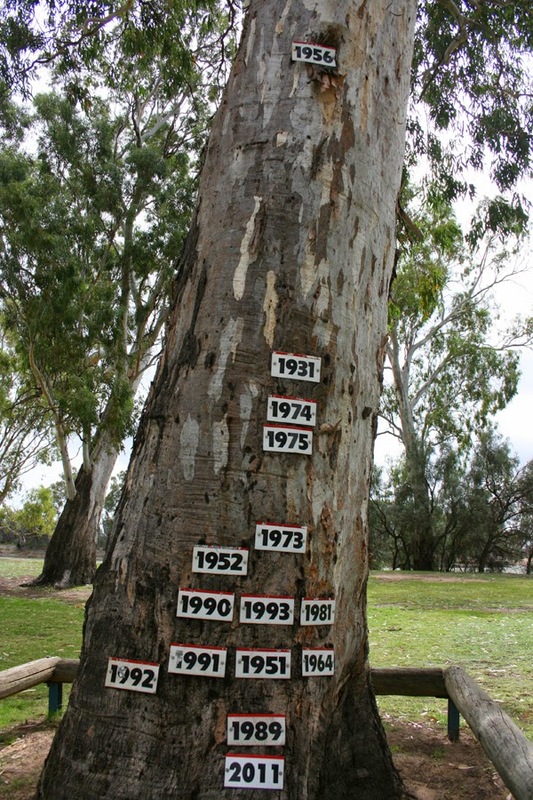 The Tree of Knowledge - get a look at the 1956 flood level!! 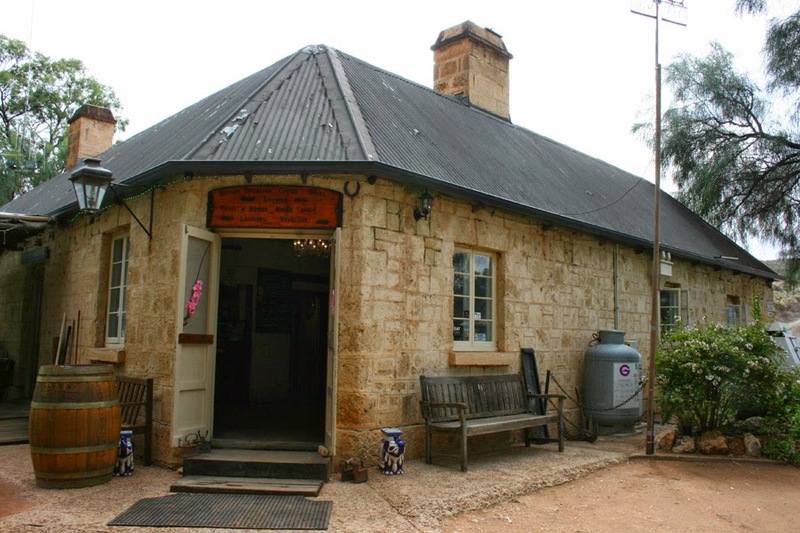 Then it was off to the historic pub the "Overland Corner Hotel" built in 1859. 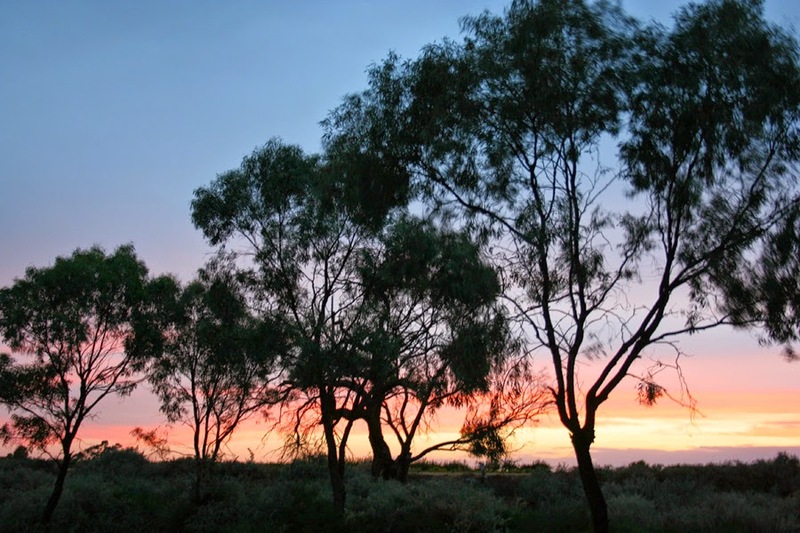 Due to it's historic significance it is now owned by the South Australian National Trust. We have done quite a bit of fishing in this beautiful river and I was lucky enough to catch a good size "Yellow Belly". We were also treated to some beautiful skies at sunset. One morning we woke up to an amazing sunrise over the river. 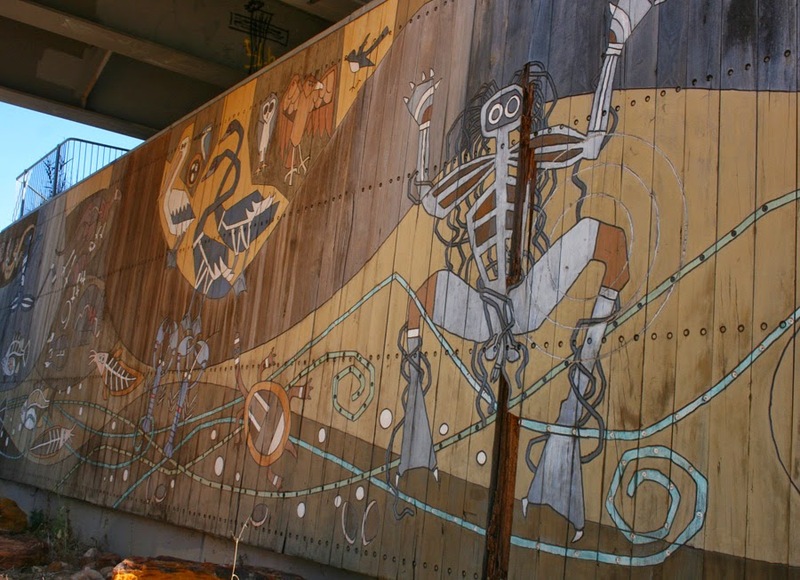 Under the bridge in Berri is a mural that depicts the Aboriginal heritage of the area and is a tribute to Australia's famous Aboriginal tracker, Jimmy James. 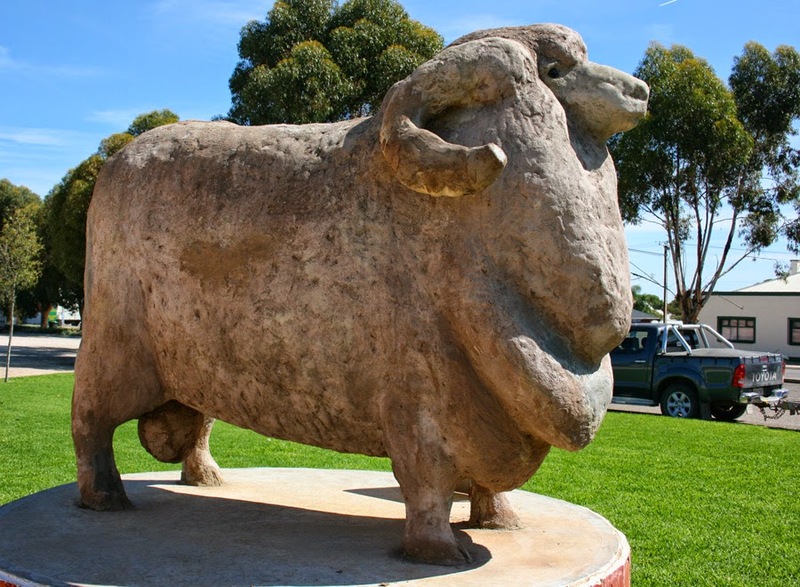 Today we drove through the tiny township of Karoonda, which is an important cereal and sheep farming district, hence the big Merino ram that sits in the towns railway reserve.